I’m a big believer in using tools in your work. 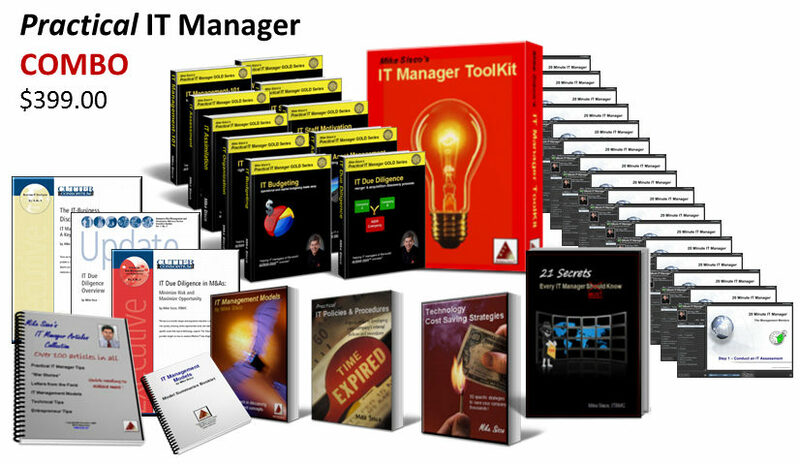 Over the years, I developed dozens of tools in my IT manager and CIO roles to help me organize, manage and monitor my IT organization, , , in other words, to do my job. I also developed tools to assist me before I became a manager. I think there are five main reasons why you want to use tools in whatever position you currently hold, , , whether it is a senior IT executive position, a project manager, or a programmer. 1. Improve productivity – Completing your work faster and more efficiently is a good thing. Simple tools can help you do just that by working smarter and having aides that allow you to complete tasks quicker. 2. Improve quality – You will be more consistent and deliver higher quality when you use tools to help you do the job. Things like simple checklists will insure you “dot every ‘i’ and cross every ‘t’ “. 3. Reduce stress – Using a tool that’s appropriate for a particular task will remove stress by knowing you are doing everything needed to do the job well. An example of this is that I have a Class Checklist that I use to help me prepare for every class. It totally eliminates any doubt or uncertainty for me as I prepare for class, , , when everything on the list is checked off, I know I’m ready to go. 4. Make your job easier – Probably the biggest benefit in using tools is that it makes the work easier, , , and that is always a good thing. I tell students in my IT Manager Institute class, “I’m lazy!”. In reality, I’m not lazy; but I hate doing redundant work or doing something in two hours that should take 30 minutes. Tools make a huge difference in this area. 5. To gain respect – You might be surprised when someone gives you a nice compliment about how organized you are or how well you are approaching something at work because they notice a tool you are using. I’ve had many of my IT Manager Institute students tell me about impressing a senior manager or colleague by using one of my tools. Your tools do not have to be complex or sophisticated. Sometimes, the simplest approach to handling something is the best. Tools work the same way, , , I have many simple tools that senior managers with over 20 years experience thought were great. To me, I had a problem I needed to deal with and the tool I developed helped me deal with it. 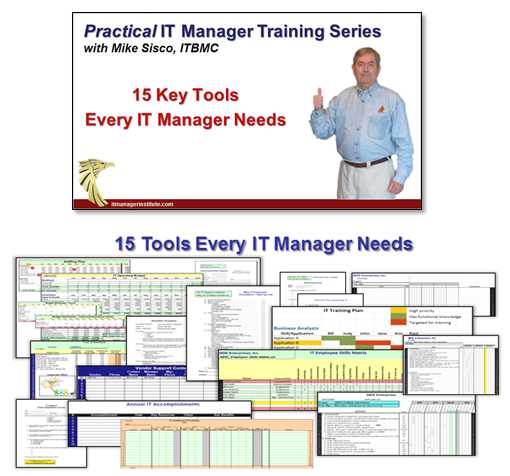 I documented my tools and made them available to help other IT managers. 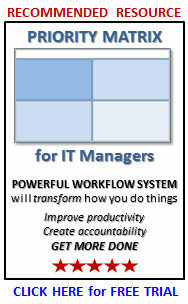 Today, thousands of IT managers around the world use them, , , one of the more gratifying things to occur in my business. 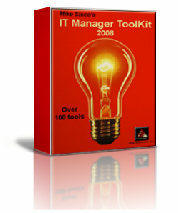 The IT Manager ToolKit contains 102 IT manager tools and templates, , , several of which are available for free in ITLever. CLICK HERE for a complete list and to learn more. Tools can make your life easier and more productive and much less stressful. When you have problems or challenges, I highly recommend you take a close look at the issue and determine if you can develop a simple tool to help you deal with it more effectively.